Sometimes I feel like I might be the greatest therapist in the world. Like when I help a gay person out of the closet. The results are amazing. If I could put what happens to a gay person when he comes out of the closet into a bottle and sell it, I’d be a multimillionaire. Depression lifts. Anxiety disappears. Authenticity is restored. Self-esteem soars. It’s like a super mental health tonic – it never fails. How to account for this miracle? A person in the closet is a liar. He’s being forced to lie to everyone around him, and he is being forced to lie about who he is, which implies there is something wrong with him. That’s incorrect because there is nothing – NOTHING – wrong with being gay. In fact, it has many advantages – including admission into the gay community, a diverse collection of people with a proud history. The lie of the closet isolates the closeted person. No one knows him, so he doesn’t know himself – or them. He’s living outside of the world, alone. That isolation is devastating. It is a terrible waste of a human life. Coming out fixes everything in one easy step. The results are astounding. It isn’t easy to overcome the fear and take that leap. Certain elements in our society are committed to keeping gay people from telling their truth, and to achieve that end they do their best to scold, frighten and intimidate LGBT people into hiding the beauty of their authentic souls. Over the years I’ve heard every reason in the book for why it isn’t quite time yet – or why this particular patient is the exception and can’t come out like everyone else. It’s all nonsense. Everyone must come out. I’ve helped people of all ages, all religions, all ethnicities and from all over the world to come out. At very worse, they might freak out, and it might take them a while to overcome their ignorance and become educated about the nature of sexual orientation. But that’s their job. They have a gay person in their lives, and they need to learn more about gay people. One of the best things about coming out is that you stop apologizing. You learn to look people in the eyes without shame. Suddenly you are truly present, authentically present. It’s the real you. For a gay person, when you come out is when your life truly begins. A few weeks ago, President Obama promised he would dismantle Don’t Ask, Don’t Tell – the military’s current policy towards its gay soldiers, pilots, marines and sailors. The military has been functioning for nearly two decades under this rule, under which gay people are permitted to serve, so long as they live in the closet. As a psychotherapist, I know that Don’t Ask, Don’t Tell does more than endanger the careers of brave, hard-working American service members – it endangers their psyches as well. Overturning this policy is not merely a matter of social justice – it is a matter of psychological well-being. 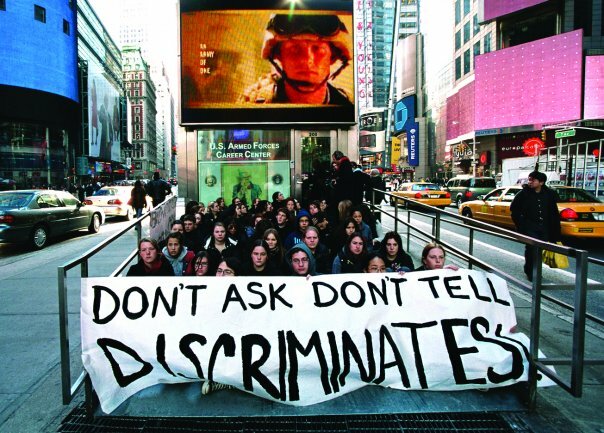 Many of these service members are young and impressionable, and grew up in a climate that was especially repressive around issues of sexual orientation. In psychological terms, the military is in the position of a parent to these young soldiers. By telling these young people to hide who they truly are, the commanding officers are telling them there is something wrong with their authentic selves. If they believe this nonsense, they will become prime candidates to develop depression by bottling up their anger at the military – anger which they feel is forbidden – and turning that anger in on themselves, assaulting their self-esteem. Don’t Ask Don’t Tell is an insult to soldiers who put their lives on the line to protect our country. It is also a real and present danger to their psyches. It is an obscenity. It must end now.